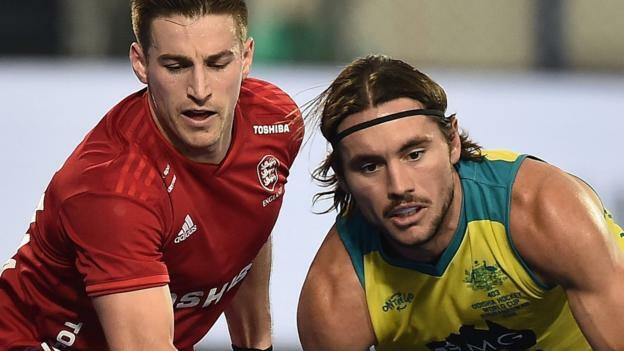 England have been beaten heavily again at the Hockey Men’s World Cup, losing 8-1 to Australia in the third-place play-off in India. England were thrashed 6-0 by Belgium in the semi-finals on Saturday, and were 2-0 down after nine minutes on Sunday after Blake Govers and Tom Craig goals. Craig got two more goals, including one in a spell of three in two minutes, the others by Trent Mitton and Tim Brand. Barry Middleton scored a consolation goal before Jeremy Hayward’s double. England – who finished fourth at a World Cup for the third time in a row – have not beaten Australia since 2014 and lost 3-0 to them in a group game earlier in the tournament. Belgium will play in their first World Cup final at 13:30 GMT on Sunday against the Netherlands, who beat Australia on penalties in the last four.